Don'tchya think? A little toooo .... corny, but that doesn't mean that the events that have unfolded in Pittsburgh over the past few seasons don't hit a note of irony. The Penguins were constantly at the top of the league under former GM Ray Shero, including winning the Stanley Cup in 2009, but a string of tough playoff defeats would ultimately punch his ticket out of town. Taking the stock of the Pens after the 2014, arguably the area where Shero was criticized the most, his drafting ability, in hindsight goes down as one of the best things he did for the franchise. While simultaneously winning the Stanley Cup in 2016 and undergoing a youth movement/rebuilding on the fly, several Shero era additions feature prominently. Bryan Rust (3rd round, 2010) has seen time with both Sidney Crosby and Evgeni Malkin during his time in Pittsburgh, and in his first full NHL season has 12 goals and 13 assists. Conor Sheary went undrafted, but he signed on with the organization after his senior season at UMass-Amherst in the final months of Shero's tenure with the team. He's quickly replaced Chris Kunitz as Crosby's personal left winger, and he's enjoying a breakout first full year in the league as well. Before being placed on IR with a long-term upper body injury, Sheary posted 17 goals and 18 assists on the season, good enough to rank 1st in the entire NHL with 3.08 pts/60 at 5-on-5 play among players with a minimum of 300 minutes at 5-on-5. In the bottom six, Scott Wilson (7th round, 2011) has provided good offense from the 4th line, with 5 goals and 10 assists on the season, and while Tom Kuhnhackl (4th round, 2010) has been in and out of the lineup, he's flashed the type of offensive ability that made him a top junior scorer. A victim of numbers currently, Kuhnhackl is likely to have a full-time role on the team's bottom line in upcoming seasons. The team's organizational depth at forward has improved to the point that another Shero draft pick, Oskar Sundqvist (3rd round, 2012), has been forced to the AHL level despite strong play against minor league competition with 14 goals and 19 assists in 43 games this season. And with all due respect to Sheary and Rust, arguably the franchise's two most promising young players are Shero draft picks still carving out full time roles. In his first year of professional hockey, Jake Guentzel (3rd round, 2013) has lived up to and exceeded the expectations of him coming out of the University of Nebraska-Omaha. In 33 games with Wilkes-Barre this season, Guentzel scored 21 goals and added 21 assists, forcing his way onto the NHL roster and into a spot on Evgeni Malkin's left wing, where he has gotten off to a strong start to his NHL career with 5 goals and 4 assists in 16 games. 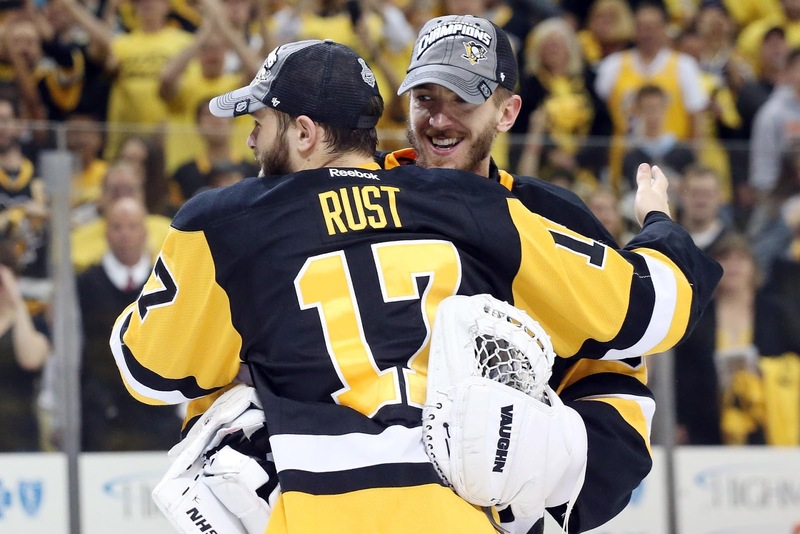 Last but not least, Matt Murray (3rd round, 2012) backstopped the Penguins to a Stanley Cup title before even beginning his official rookie season. Murray has fought through some rough patches this year, typical of goalies in general and young players in particular, but his 0.923 SV% and 2.35 GAA have still been enough to gain the 1A designation from head coach Mike Sullivan and establish himself as the franchise's long term starter at the position. Shero's ability to hit on an impressive number of later round picks belies his actual draft strategy from his time in Pittsburgh. Despite the team's surplus at the position, Shero repeatedly invested top picks in offensively-minded defensemen, with the belief that young puckmovers on the blueline could either turn into attractive trade targets for help elsewhere or productive players for the Penguins. Unfortunately, that strategy failed to pay off anywhere near the level it was envisioned. The results are checkered, to be kind. Simon Despres, taken 30th overall in 2009, failed to gain much traction in Pittsburgh, and as it appeared he was getting his career back on track with Anaheim a serious concussion threatens to end his career. Philip Samuelsson was taken in the 2nd round of that same draft but managed only 13 games played in the NHL. Joe Morrow and Scott Harrington were taken in the first two rounds in 2011, but neither has made much of an impact after being traded away. Derrick Pouliot was drafted 8th overall in 2013, but while he's played well in Wilkes-Barre he's had difficulty cracking the lineup in Pittsburgh. At one point, Olli Maatta appeared to be a steal with the 22nd pick of the 2013 draft, but injuries have derailed his career and limited his mobility on the ice. In fact, arguably the best young defenseman the Pens have, Brian Dumoulin, was acquired by Shero by trading a talented young forward in Jordan Staal. Fast forward to the present day, and the Penguins have a strong forward group and questionable organizational depth on the blue line after whiffing on many of their top draft picks and finding great value in the middle rounds. And after attempting to set up the team in a strong position by having a surplus of talented young defenders to address any needs at forward, the Pens will go into the trade deadline needing a reinforcement on the blue line with a talented group of young forwards that could be potentially be used to make that happen. And THAT, Alanis, is irony.